While getting an oil change at Walmart a couple weeks ago, I had about an hour to spare and wondered the aisles. I stumbled upon a bag of dark chocolate and mint chips that were on sale. 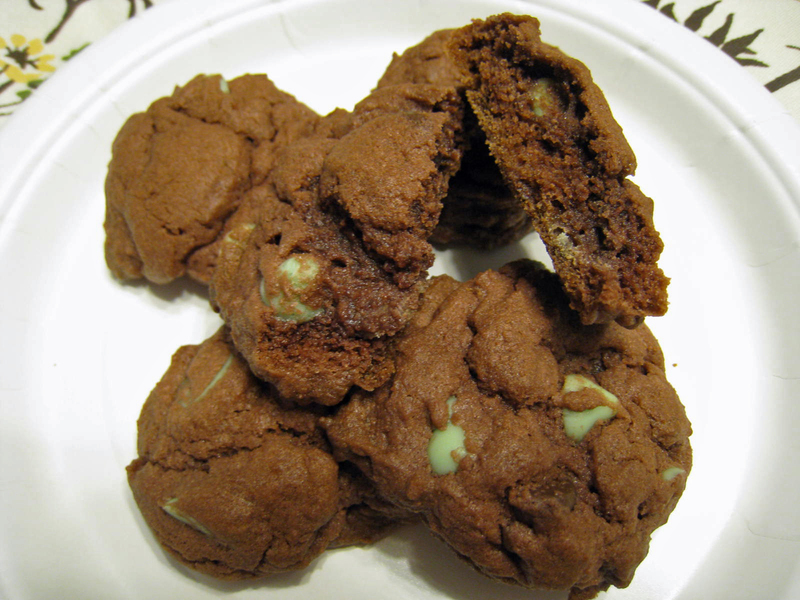 Now, dark chocolate and mint is one of my favorite flavor combinations and I knew that I wanted to change up my chocolate chip pudding cookie recipe to use these chips. Instead of the usual vanilla pudding mix, I used chocolate fudge and these chips. They were seriously amazing and so tasty! They weren’t too chocolately or minty – just the right combination. I bagged up half of the batch into little bags to give to my daughter’s daycare teachers at Valentine’s Day treats. Two of her teachers dug into them at 7am on Monday when I dropped Madeline off at school. I love the versatility of this recipe and the thousands of flavor combinations that are possible. What flavor of cookies would you like to bake next?